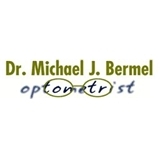 Dr. Michael J. Bermel, P.C. Optometrists (Fairfax) - Book Appointment Online! Our office offers quality professional eye care, including a comprehensive eye exam, using state-of-the-art equipment in a private setting. Our optometrist offers expert eye care and eye exam services for your therapeutic needs such as tests for glaucoma, cataracts, and eye disease, as well as retinal photography (a photograph of the back of the eye). Maintaining the health of your eyes is our #1 goal. We provide our patients with cutting-edge professional products and services that are differentiated by their value, not just their price.